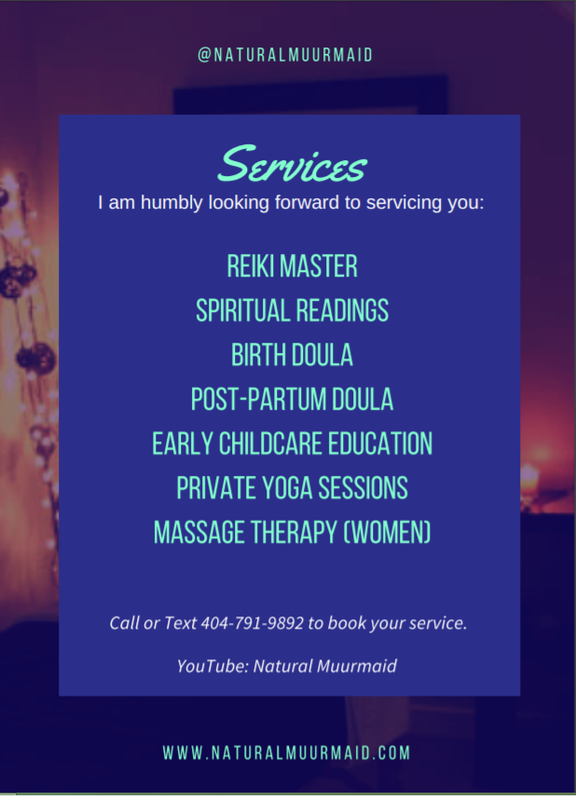 PROUD TO ANNOUNCE THAT NATURAL MUURMAID SERVICES ARE NOW AVAILABLE!!! IF YOU ARE IN THE METRO ATLANTA AREA, I LOOK FORWARD TO HUMBLY BEING AT YOUR SERVICE WITH LOVE AND INTEGRITY!! 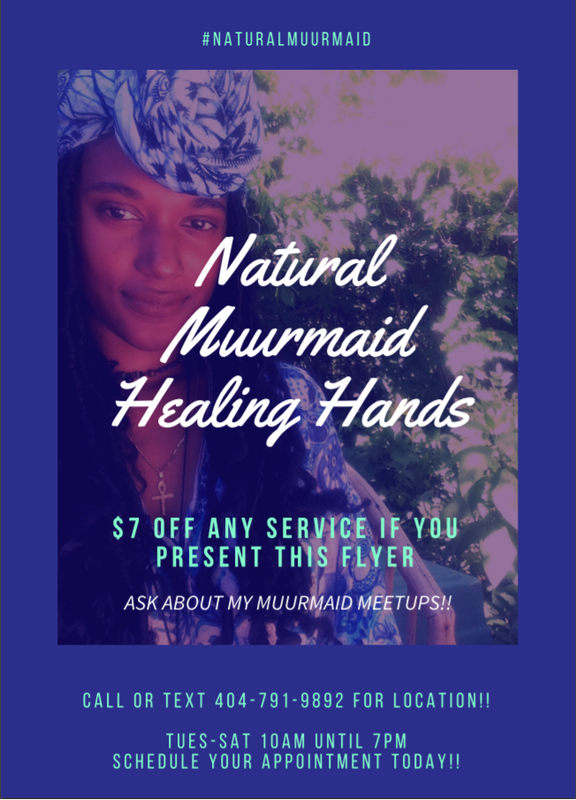 *REIKI HEALING* *INTUITIVE TAROT* *DOULA* & MORE! !